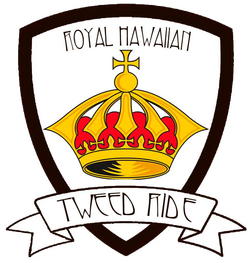 Please know that due to scheduling conflicts and some changes in management, the Royal Hawaiian Tweed Ride typically occurring in February will not occur in 2019. We do apologize. 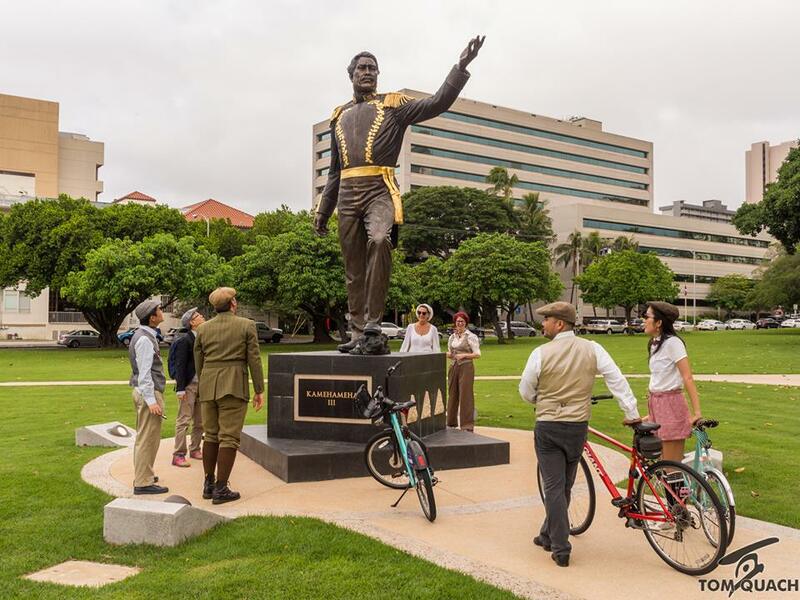 The organizers are planning an interesting 2019 HHM Kalakaua Tweed Ride to occur on November 16, 2019, the birthday proper of His Hawaiian Majesty, King David Kalakaua. The Antiquaria Award was presented to Mister Ernest. ​Hulo! 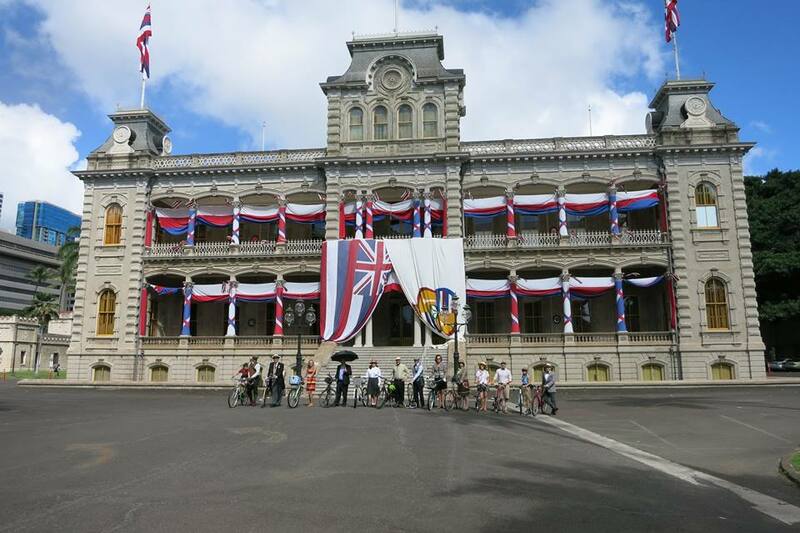 The seventh annual Kalakaua Tweed Ride, a bicycle ride and tea social, in honor of the birthday of His Hawaiian Majesty, King David Kalakaua is on November 17th. Velocipedic participants will start by raising a rousing three cheers for His Majesty in front of Iolani Palace, then enjoy a leisurely bicycle ride through the historic capital district, continuing along the King Street bikeway with a stop at Thomas Square to hear about the sculpture of “Kamehameha III,” cumulating with a tea service at The Lounge at the Ala Wai Community Park. As always, honors will be awarded for dressing smart and playing the part. At The Lounge, indoor bicycle parking will be available. Tea will be provided by the ride; please bring your own tea cup, saucer, and spoon if you require one. A drawing of prizes will occur. This is a casual gathering and unsupported bicycle ride (riding at your own risk) with a route of approximately four miles. Please ride responsibly, obey traffic laws, respect pedestrians and authorities. 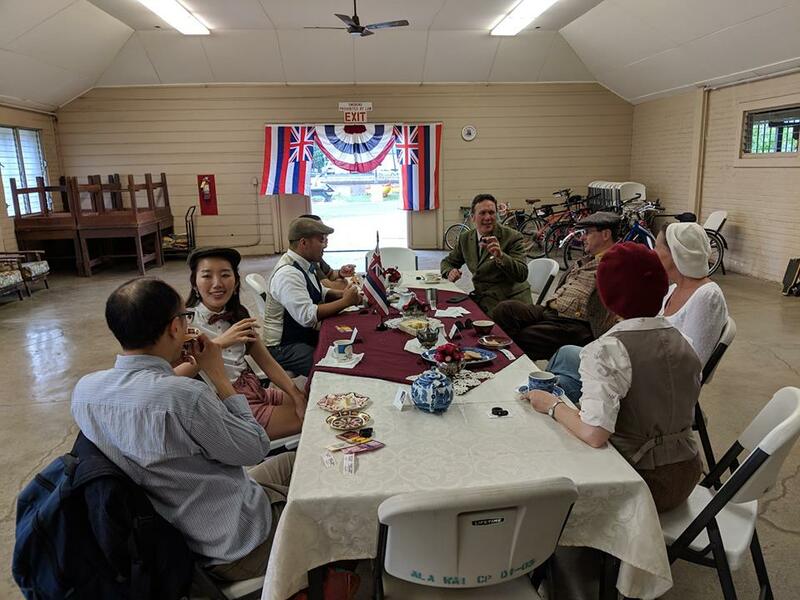 There is no fee to participate, just a willingness and effort to recreate the spirit of a bygone era, which is much appreciated. Mister Tory and Missus Kristin, both enthusiasts of proper two-wheeled transportation, endeavor to emulate the spirit of yesteryear. 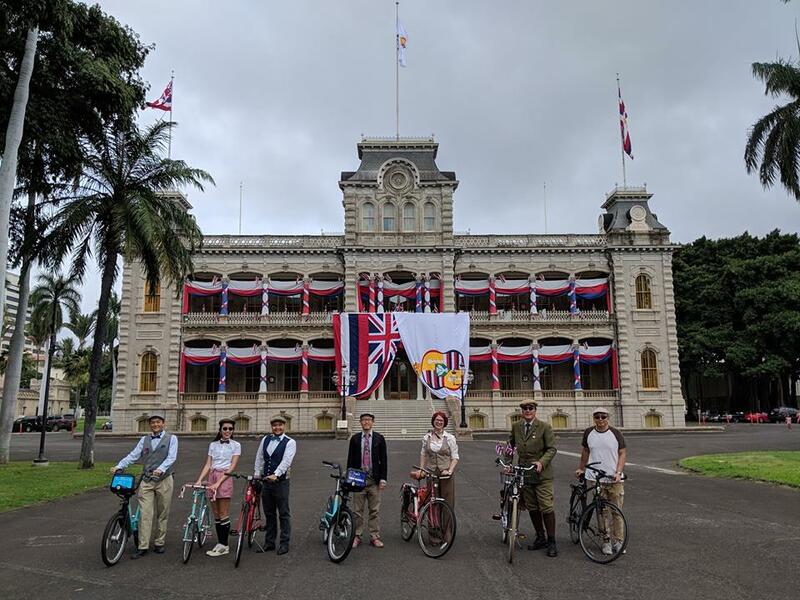 One outcome is the Royal Hawaiian Tweed Ride.